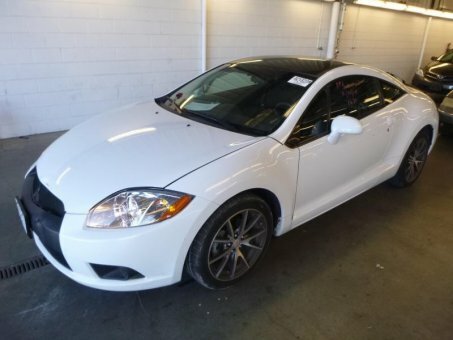 Exotic-car looks, a price starting $8,000, and a good warranty are among the biggest draws to the 2012 Mitsubishi Eclipse. And though lower trim levels have only marginal power, the high-end GT version with a V6 packs a bite with 265 horsepower. Used Cars in Baltimore is one of the best public car auction in the USA. Only here you can increase your benefits, choose the best deals and get the great cars at reasonable price. Check out our Public Auto Auction to find classic cars for sale, pre owned car in MD, used cars in Baltimore, second hand cars online, car dealerships, car auction in Baltimore MD, used cars in Maryland, used truck for sale, public auto auction, pre owned car in Baltimore, best used cars, quality pre owned vehicles, used car auction in MD, sports cars for sale, classic vehicles in Baltimore MD or cheap cars in Maryland. We are here to help you to make the best car buying experience! Best Used Cars in Baltimore is here to serve you with purchasing a new car and we take pride in helping you find the one that's right for you. Whether you are looking for a new or used car, our sales team can help you with its no-pressure philosophy. Let us show you what a great car dealer should be. We promise to make you car buying experience efficient and as stress-free as possible. © Powered by Repokar. All Rights Reserved.